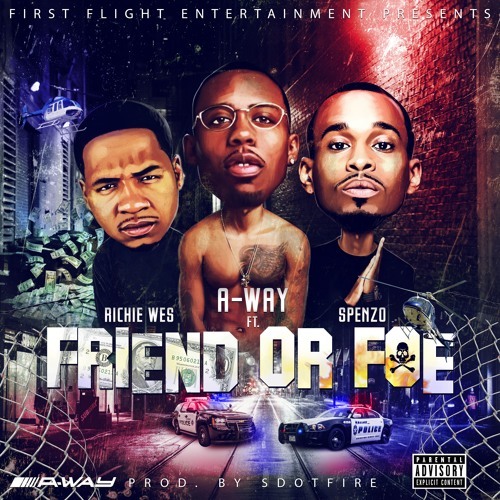 A-WAY releases a new single off his upcoming album #AWayOrTheHighway titled "Friend Or Foe" ft Richie Wes & Spenzo produced by Sdot Fire Productions. On this record A-WAY & Co. Talk about how the life comes with people switching sides on you and going from friend to enemy. Listening more than 10 times. Best one I've heard today!! !